As a kind of daily production parts, aluminum round blank may be used in any industry. Nowadays, the development of the industry is continuously progressing, and aluminum discs are increasingly used as processing materials and gain more attention from people in the global market. Its development prospects is an aspect that many people want to know. We all know what the society needs and what we provide for everyone. In recent years, the production and sales volume of aluminum round blank has been increasing. As a representative of aluminum products, aluminum circles will develop even more in the future, as society continues progress, there will have more advanced products and first-class production levels. So the aluminum circle disc has an industry representative on the current development trend, the prospect is incalculable. 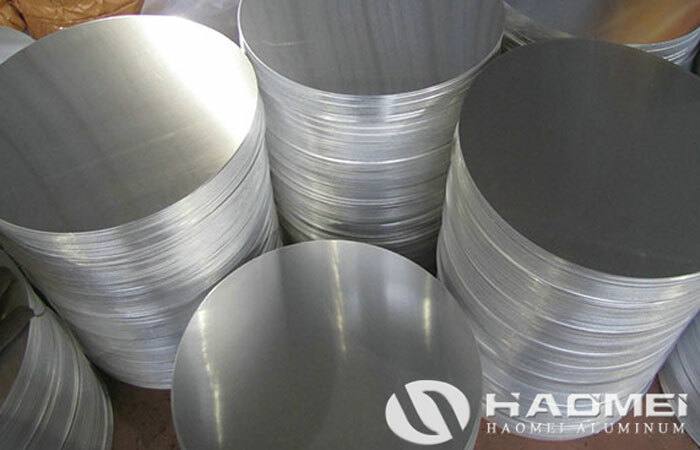 Haomei Aluminum is aluminum discs manufacturers who has advanced process technology, high quality product and large amount of sales. We specialized in the production of aluminum round blank, as well as a wealth of experience in production technicians, strict control in production, you can rest assured in the quality.